Looking for something to do tonight in Philadelphia. Head on down the World Cafe Live and catch Contramano. 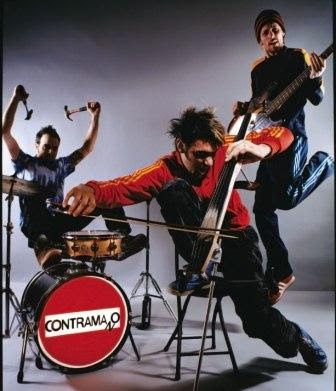 A trio fronted by Brooklyn via Argentina cello player Pablo Cubarle, Contramano’s music is a raw and powerful blend of alternative indie rock and precussive Latin rhythms. Imagine the sound of throwing the Talking Heads, The Pixies, Cold War Kids and Los Lonely Boys all together and you’ll start to get an idea of what they sound like. Their new album Unsatisfecho is eleven songs full of quirky danceable endearing goodness that will keep you coming back again and again. Check out the title track Unsatisfied for a taste of their unique mix of influences.